Car repair service is something that it's worth spending some time doing a little research about in order to find a shop that's a good fit for you and your car. As with most services, it pays in the long run to spend some time shopping around for a good, honest car repair shop. Perhaps one of the best indicators of a quality Boulder car shop is the word of mouth that gets around about it. In Boulder, word can spread quite easily via the student population at the University of Colorado, especially with all the social media avenues of communication that students use every day, including Twitter, Facebook and MySpace. So, in the context of social media at CU, a good repair shop can quickly have loyal customers who are willing to let others know about the best Boulder car repair service they have found in town because it just outshines all their previous experience with other shops in the past. Do some searches in Twitter or Facebook looking for students talking about their experience with local car shops. Another place to find Boulder locales talking about local repair shops is on some directory type of websites that allow readers to write reviews. When you do a search in Google for Boulder car repairs, some websites you will find in the search engines will have customer reviews. You need to be a little careful here and not swallow everything you read whole. Sometimes a review will smack of a competitor trying to bad mouth a decent repair shop. If most of the reviews are positive and plausible, one or two really negative reviews would not necessarily steer me completely away from a car repair shop, especially if the auto shop has been in business for several years. Having said that, if I find numerous negative comments about the same Boulder repair shop on multiple sites by different people, that will get my attention and I will probably not consider trying that shop. Another tip for selecting a good car repair shop in Boulder is to choose an auto shop where the technicians work on several different makes of cars-both foreign imports such as Volkwagen, Subaru, Toyota, Honda, Audi, Porsche as well as domestic cars such as Ford, Cadillac, GMC, etc. You will be able to tell by the Yellow Page ad or the shop's website. For example, the local shop called Bolder Auto has a website where they talk about what specific makes and models that they like to work on. When a mechanic has a variety of experience working on different makes and models, it gives him a much greater understanding and insight into how cars work (or do not work), not just for repairing a Toyota but Subaru, Honda, Audi, VW , Porsche – any brand. It's always a good idea to ask the person you deal with at the local Boulder shop if the guys who will be working on your car have Automotive Service Excellence certificates which are also known as 'ASE certificates'. 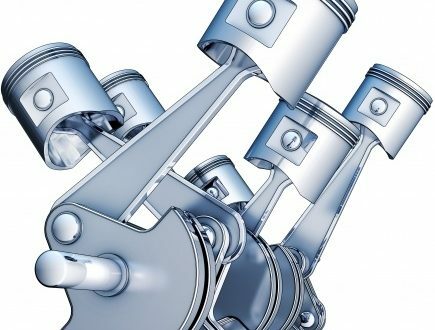 These ASE certifications are a good way to validate a mechanic's skills to work on any type of vehicle. These are national certificates and not specific to Boulder or Colorado only. Another tip for finding a good Boulder car repair service is to start looking before you actually need one. Then you will not have to settle for just trusting that the repair work will be done correctly because you have no choice.To start, find a local shop that's running a special for an oil change or some simple service you need and make an appointment . See what kind of experience you have and go from there. There are lots of Boulder car repair shops to choose from, so narrowing your choice before you actually take your car to the shop will require a little time applying the tips above to find the shop that best fits your need in the local Boulder community.